Elegantly refined and completely redesigned. We’re excited to introduce the all-new 2018 Volkswagen Tiguan as part of our lineup! A bolder and bigger Tiguan, with the same Volkswagen quality and power you already know. 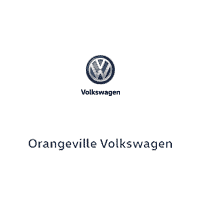 With a powerful 2.0L Turbocharged engine, available 4motion all wheel drive and an optional 3 row of seating, the 2018 Tiguan at Orangeville Volkswagen is ready for whatever adventures you may have planned. Take one for a test drive today!